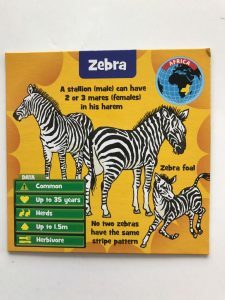 This is a great activity by ARK TOYS. Look carefully at the picture below for 10 seconds. You can have a little longer time if it is your first go! 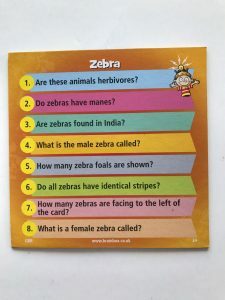 Now try answering the questions below with out looking at the ZEBRA CARD! 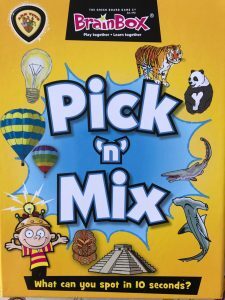 It’s amazing what we can learn quickly when we focus, concentrate and work together!